A white arrangement of fresh, seasonal flowers. 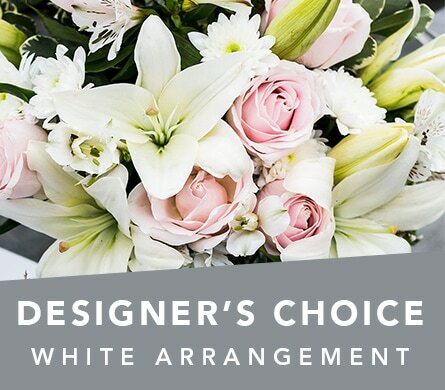 Designer's choice flowers are custom made for you. Due to seasonal and regional availability the florist will make up a unique arrangement for you that will not bare any resemblance to the image shown. Stem count will vary.